In the 21st century, merger between Product Lifecycle Management (PLM) and Application Lifecycle Management (ALM) is perhaps the most successful of all engineering practices. Invention of complex systems like the Large Hardon Collider, are the symbols of successful integration between hardware and software systems. In short, convergence of PLM and ALM is essential when developing a system with both hardware and software components. PLM is an approach that was conceived in the year 1985 by the American Motors Corporation (AMC), to build hardware products with or without software components. 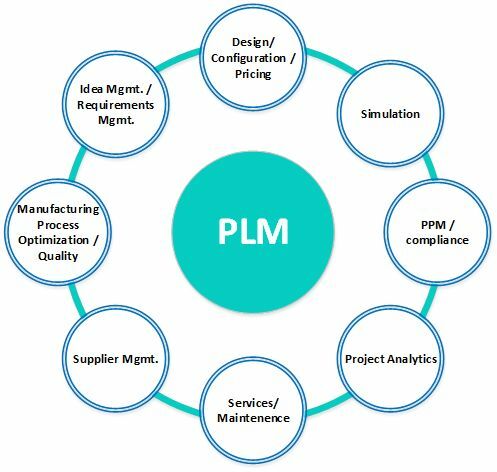 Across the product lifecycle, PLM is the business solution that encourages collaborative creation, management, dissemination, and use of product defined information spanning throughout the extended enterprise. PLM aims to manage the product lifecycle right from its inception to engineering design, development and manufacturing. 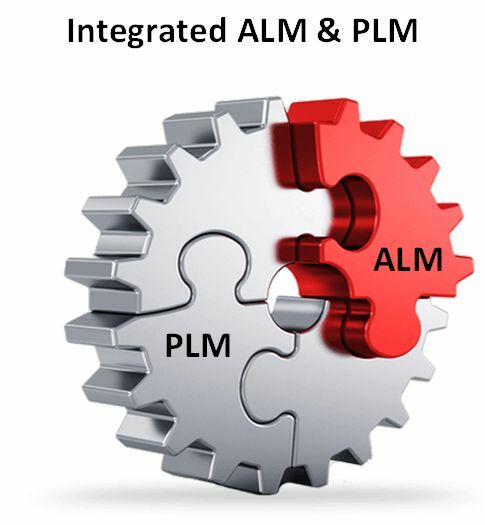 PLM includes engineering CAD and provides a framework to help connect, organize, control, manage, track, consolidate all product-centric information. Adopting the PLM process has proven to be effective in data monitoring, especially in Aeronautics and Defense besides the automotive industry. However inclusive the entire PLM cycle maybe, the way in which software projects grew in complexity and volume have necessitated the need to have separate set of practices for the same. The reason being, the nature of artifacts that are used in software development are empirically different from the ones used in PLM. Software development shifts focus from primary PLM artifacts like EBOM, MBOM and stresses more on the secondary PLM artifacts like Requirements, Documents, Embedded software and Test Cases to name a few. The umbrella term that encompasses all the activities, methods, and processes used in Software Development is the Application Lifecycle Management or ALM. Developing a new Software can be quite complex. It consists of Business Requirements, Functional Requirements, Defects, Tasks, and Resources including the need of integration with different legacy applications. 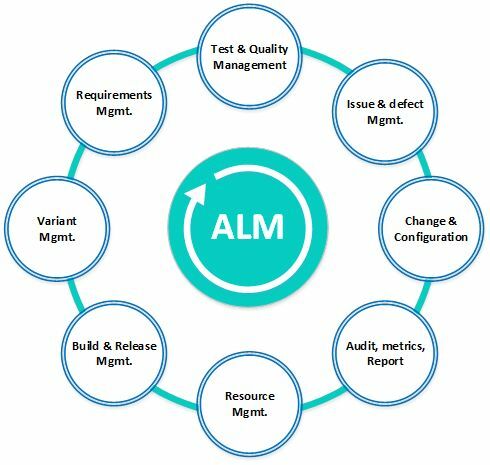 ALM aims to manage the three prime aspects of software lifecycle – Governance, Development, and Management. Requirements Management, Code Development, Testing, and Release of a software product are distinctly different from that of a hardware product, hence are addressed by ALM. Like PLM, ALM addresses activities from the inception of an idea till the final deployment and dissolution of a software application. ALM has various SDLC (Software Development Lifecycle) methodologies that are used in a standalone or hybrid form. 1 ALM deals with intangible and intellectual properties like Requirements, User Stories, Sprints, Test Cases, Issues/Bugs, etc. PLM is more definitive in term of its implementation. It deals with managing tangible hardware components like Drawings, Material, Cost, Workers, Tools and Subsidiary Parts. 2 ALM’s core building blocks include a set of requirements, code files, test cases, defects, and released application code. PLM on the other hand, comprises of different types of hardware or parts bound by ’Part of Relationship’ and more and more recently the electronic hardware with embedded software that defines most modern systems – be they automotive or defense or industrial. 3 ALM focuses on the effectiveness and efficiency of delivering working components PLM’s focus encompasses objects ranging from the complete bill of materials till the product configuration in the chain. 4 In ALM, a broad level concept or a requirement is decomposed using diagrams such as Entity Object, UML Diagrams, and Flowcharts, etc. Products in PLM process follow the ’Part of relationship’ decomposition and get categorized under sub items such as Electric Layout, Transmission System, Interior design layout, etc. The holistic nature of modern products and their connectivity necessitate a new approach to their development. Traditionally, product innovation and manufacturing follow separate development streams for hardware and software. These development streams progress in complete or partial isolation. With the exponentially growing volume of embedded codes in hardware devices, complexity increases by leaps and bounces. Sticking to the old method of sequential development is no longer feasible. This makes widespread adoption of agile methodologies a preferable choice for speeding up a software development process. Integration of distinct development streams of hardware engineering and manufacturing, software development, and service innovation therefore became a necessity. The previously separate lifecycles were increasingly interconnected, and managing them required a new approach. IoT is perhaps the foremost achievement of PLM and ALM Integration, where hardware products like Refrigerators, ACs, and Heating Systems have been made smarter by acting like nodes in the integrated web of things. Data from these internet of things can be managed with popular software that harness data to make our lives comfortable. Popular gaming consoles like Microsoft Xbox and Sony PlayStation can be termed as yet another milestone of PLM and ALM Integration. A sound PLM Process has led to sleek hardware that seamlessly interfaces with multiple power sources, output devices like television, tablets and mobile phones and supported by wide variety of ports. Further, software utilities like Unity, OpenGL, Corona, etc., built through an equally competent ALM process support these advanced hardware creating amazing end user experiences. Utility applications are now focusing not just on cross platform operations but also cross devices. Applications like Salesforce, Service Now, and Amazon’s Kindle are all trying to integrate the PLM and ALM processes with the object of scaling to multiple heterogeneous devices. The integration between PLM and ALM can either be carried out on a point-to-point basis between a pair of tools or it can be done using an ESB model, which becomes more scalable compared to the former. Kovair Software, a Silicon Valley company, specializes in providing ALM and multi-tool integration solutions. Kovair’s entity management framework helps to configure any ALM and/or PLM entities currently in practice by an organization. Configurations can be done using simple mouse clicks through Kovair’s interactive UI and multi browser support. Kovair currently serves as the integration need for some of the leading organizations globally spread across various domains. Kovair brings an ESB platform built on SOA (Service Oriented Architecture), which seamlessly connects any numbers of tools to the integration hub. Kovair has a configurable workflow engine, Omni process, which helps to define automated workflow across ALM and PLM methodologies. Kovair’s interactive reporting engine monitors cross-team activities helping organizations to track Operational, Managerial and Strategic activities in the process. 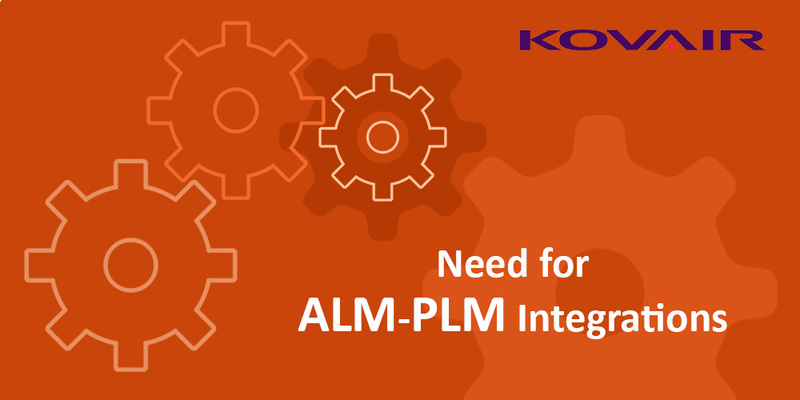 Kovair is collaborating with multiple PLM Tools vendors globally to achieve ALM – PLM Integrations based on its Omnibus Integration Technology thus providing Systems customers multiple choices for these integrations based on their use of a particular PLM tool. Soumanil has been associated with Kovair for more than nine years. His key responsibilities are to provide On-site and Off-shore consulting services for complete ALM and Omnibus Integration solution implementation. He also manages projects for Kovair products for the customers. Welcome to Kovair’s New Blog!